What is the goal of the current Israeli government? Mahmoud Abbas: recent Arab Summit discussed war. PLO acknowledges: still at war with Israel. Hamas Chief: Cease-fire a tactic. Palestinian foreign minister: cease-fire just a liberation tactic. Prime minister Haniyeh: I never acted against armed groups. Palestinian prime minister vows not to recognize Israel. PA admits it has no intention of disarming terrorists. Arafat wants armed struggle, PLO charter was never changed. 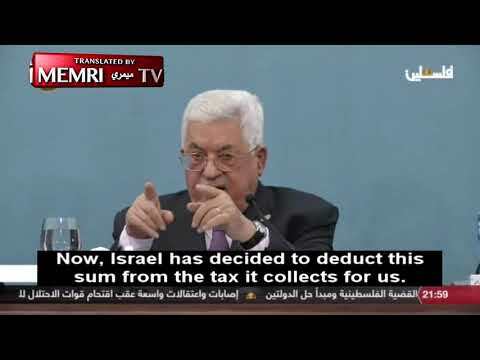 Palestinian Authority funds go to militants. Palestinian official TV promises maidens to’martyrs’. Is the safety fence really necessary? Controversial fence proves its worth. Saving Lives: Israel’s anti-terrorist fence. When bad neighbors require good fences. Why is peace so difficult to achieve? The main reason is that Arabs do not accept a Jewish state, because the dictatorial Arab regimes need an outside enemy and because of ideology; Muslim-fundamentalism and nazism. One must realise that the phenomenon of suicide attacks were a result of the Oslo peace-agreements, they began immediately afterwards. Muslim-fundamentalists like Hamas wanted to do everything they could to torpedo the peace, because they could not stand the idea, peace with the Jewish State. Fatah: destruction of Israel is the greater goal. Hamas: Jews and those that negotiate go to hell. Palestinian Authority to Israelis: go to Europe and Ethiopia. Hamas deputy minister calls for Jews to be annihilated. Hamas: Jews drink Muslim blood. Hamas children TV: declare war on the Zionists. Hamas TV: Jews are the enemies of Allah and should be killed. Hamas: Jews has to be exterminated. Hamas: Annihilation of the Jews is the most splendid blessing. Palestinian TV: ‘Killing of all the Jews will not be satisfactory’. Fatah TV broadcasts daily call for ethnic cleansing of Jews. Jihad bee replaces terror mouse. 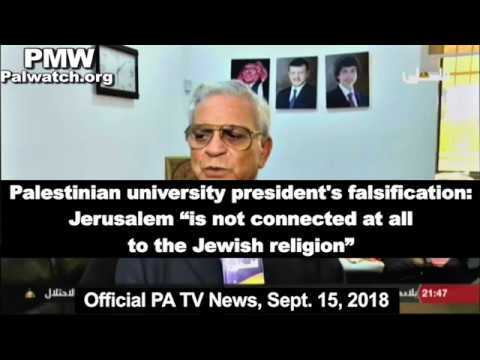 Palestinian leader calls for killing all Jews and Americans. Palestinian Authority paper: Jews fan flames of evil. Kill a Jew – go to heaven: the perception of the Jew in Palestinian society. Palestinian school books reject peace. Palestinian Authority: Israel sells us carcinogenic juice. Preaching Poison: Palestinian clerics encourage child-martyrdom. Arafat and Khameini: U.S. and Israel behind attacks and beheadings. ‘We will fight the Jewish cancer’. Murderer of baby is official role model for Palestinian youth. Hitler is a youth idol, Mein Kampf is a bestseller. * 2000 / 2001 offer of prime minister Barak to create a Palestinians State, of almost the complete Westbank (compensation elsewhere for the rest), Gaza and East-Jerusalem. Hamas Leader Khaled Mash’al criticizes negotiations, reiterates: we will adhere to the gun. Steep increase in rocket fire despite ‘truce’. Hamas says still seeks Israel’s destruction. Hamas: We want all of Palestine, from the river to the sea. Terrorists say ‘ceasefire’ enables arms smuggling and training. Palestinian Authority will not disarm terrorists. Abbas adds terrorist fugitives to security forces. Abbas: Hamas and Jihad are my brethren. Palestinian premier won’t confront militants. Palestinian Authority already releasing terrorists again. Arafat could stop terror attacks. We can stop Hamas, but we won’t. But the Palestinian Authority is condemning the terror? Abbas appoints released terrorist mastermind as advisor. Fatah: terrorists who killed 37 civilians were heroic. Palestinian Chairman Abbas: If you will fight Israel, we are in favor. 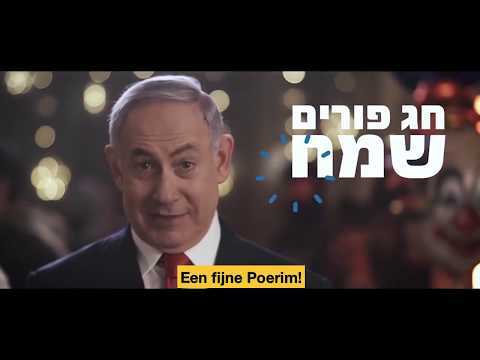 Hamas TV children’s show: Children from Holland want to become martyrs. Veneration for child murderer on Palestinian TV. 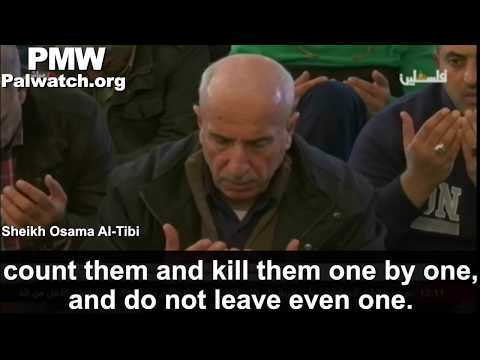 Palestinian Authority: The Jews are the enemies of Allah… kill them. The forked tongue of Hamas. Financing terror by the Palestinian Authority. Yasser Arafat’s compound a center for terrorism. What kind of Palestinian society has this created? Hamas: Palestinians will have the honor of annihilating the Jews. Hamas video: Allah, kill Christians and Jews to the last one. Hamas TV: kids shown video of their mother’s suicide bombing death. Human rigths groups seek Gaza abuses probe. Rayyan trained his kids to die. Hamas: “death is our industry, children excel at this”. Palestinians training kids to be suicide bombers. Just married and determined to die. Teaching children about a world without Israel. Gaza terrorists training children to kill Jews. Poll shows Palestinians favor violence over talks. Terror Mickey Mouse still on Hamas TV. No place is safe from violence within Palestinian society. Poll: 77% of Palestinians support terror. Young terrorists are made, not born. Palestinian religious leaders on TV call for genocide of Jews. Child soldiers of the Palestinian Authority. Depths of a depraved culture. Hamas wins election on Israeli body count ticket. 75% of Palestinians support suicide bombing, majority support terrorism even after statehood. Mass murderers are heroic symbols in the Palestinian Authority. Palestinian Council rejects US anti-terror pledge. The exploitation of children for terrorist purposes. Hamas children TV features a ‘brilliant child’ jihad warrior – September 3, 2007. 88% of prisoners in Palestinian jails being held without trial. A changing mind-set among Jerusalem’s Palestinians. But the Palestinians have signed several treaties with the obligation to crush terror? Israeli-Palestinian peace process was a scam. Abbas’ recognition of Israel fits policy for destroying Israel. Arafat unwilling to recognize Israel’s right to exist. Bush blames Palestinians for Middle East deadlock. Clinton to Arafat: It’s all your fault. How Arafat got away with murder. How about settlements, are they illegal? Forgotten facts about the West Bank and Gaza Strip. Israeli settlements and international law. U.N. Security Council Resolution 242. Are the settlements not the main cause of terror? The settlements are a phony problem. What came first, terrorism or ‘occupation’? Does oppression cause suicide bombing? And when Israel left Gaza, the number of Qassam rockets on Israel increased, not decreased, see the graph below. Hamas leader: Our ultimate plan is to have Palestine in its entirety. Hamas Minister: Allah will poison the air breathed by the Jews and the Americans. Hamas cleric calls for extermination of Jews. Genocide of Jews remains Hamas goal. 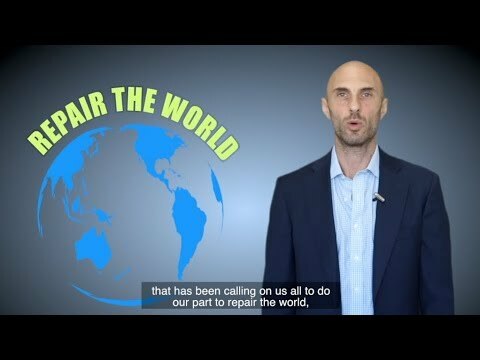 Hamas video: we will drink the blood of the Jews. Hamas: ‘beginning of end for Israel’. Hamas: no place for Israel in Middle East. Egyptian TV: Hitler was right to do what he did to the Jews. Syrian government: Israel’s end is near. Egyptian TV: Offspring of apes & pigs, day of vengeance is nearing. ‘In all of Europe there weren’t 6 million Jews’. Muslim cleric: Pepsi is Zionist plot. Egypt religious official: pigs descended from Jews – must be slaughtered. Syrian Government Dailies: Jews are bloodsuckers. Egyptian cleric on TV: we will annihilate the Jews. Egypt cleric on TV: Jews infect food with cancer and ship it to Muslim countries. Iranian TV Presents: Harry Potter and the Ziono-Hollywoodist Conspiracy. The rabbi and the terrorists. Israel’s supernatural rats target Arabs! Iranian TV series claims Jews planning the genocide of humanity. In Gaza, Hamas’s insults to Jews complicate peace. The Palestinians’ nazi past and present. Tom and Jerry: a Jewish conspiracy. Syrian Government suggests Israel created and spread avian flu virus. Egyptian Magazine: the Jews slaughtering non-Jews and draining their blood. Saudi prince: Zionism to blame for terror attacks. The Jews are behind every disaster or terrorist act. Palestinian leaders deny Jerusalem’s past. ‘No Jewish connection to Western Wall’. Remnants of the Second Temple being destroyed. Saudi TV: Kings David & Solomon were Muslims who today would have fought Israel. Temple Mount relics saved from garbage. Palestinian historians: Biblical history is actually Muslim history. Poll: Palestinians lead in hate for USA. Should Mickey Mouse be killed? Hamas Culture Minister: Condoleezza has blood of Palestinian children between her fangs. Gaza’s Christians fear for their lives. Fatah’s Al-Aksa Brigades declare war on America, Hamas announces attacks. Palestinian Authority calls for terror against US soldiers. Palestinian TV: Extermination of Jews and subjugation of Christian is goal of history. Relentless Palestinian hate incitement against the US and the West. 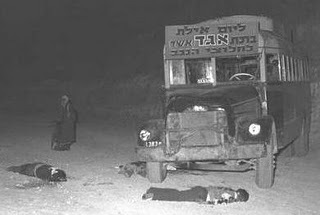 Terreuraanslag op een bus bij Eilat, 17 maart 1954. Is Israel not acting illegally by killing terrorist leaders? What Israeli illegality? The Yassin assassination was perfectly lawful. The difference between murderers and freedom fighters. Why Israel is right to assassinate Hamas leaders. Is Israel not acting too forcefully, the number of Palestinian victims is greater then of Israelis? The number of civilian victims is not so different (932 Palestinians versus 683 Israeli’s). The rest are combatants (1194 Palestinians and 179 Israeli’s). Then there are some strange things in the statistics: on the Palestinian side killed terrorists are counted too, that are people who choose for death themselves. Also are counted people killed by their own side (324 Palestinians!). Of course every innocent life taken is a tragedy. But there is also the moral difference: the Palestinian are killed unintentionally by Israeli counter-terrorism actions, because terrorist take shelter between the civilian population (the ‘use of human shields’, a war crime). Israeli civilian lives are taken intentionally, of people walking the street, eating in a restaurant of taking the bus. This kind of difference is shown by the kind of victims, for instance the number of women killed: 118 Palestinian women versus 248 Israeli women (figures of January 2004). Haniyeh hid in hospital during Gaza war. Law professor: Hamas is a war crimes case study. Senior terrorists hiding in psychiatric hospital arrested. A double standard on Gaza. But Israel is often condemned by the United Nations? UN Human Rights Council criticized for politicization. How could Israel ever trust the United Nations? Iraq, Israel and the United Nations: double standards? What do you think of the media coverage? Media harassment in Palestinian Authority. How Arafat’s gunmen suppress the news. Palestinian journalists barred from covering protests. CNN: news more important than truth. Is Israel not to blame for the bad state of Palestinian society? On the contrary. Under Israeli government 1967-1993 the territories were relatively affluent, compared with other Arab countries. There was strong economic growth. Seven universities were founded (before none). Healthcare improved greatly. Palestinians rocket Israel while their own children drown in sewage. Palestinian minister admits aid millions lost. But the Palestinians have much success in promoting the perception of Palestinians as victims, it has become the most powerful marketing tool Palestinians have, see: David and Goliath.